Winter Save The Date with Christmas Trees. 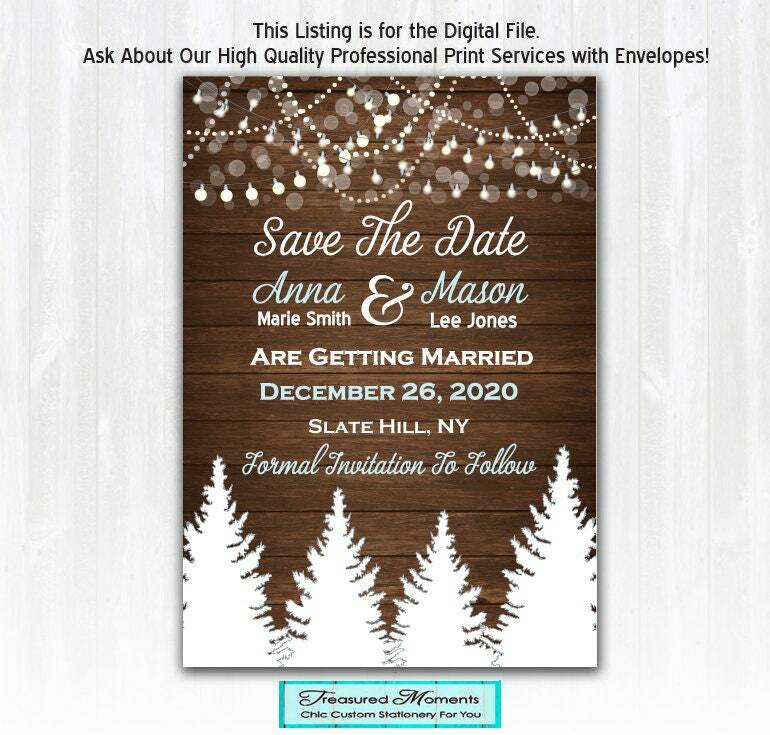 This listing is for a print ready, high resolution DIGITAL FILE ONLY of this Winter Wedding Save The Date (JPG or PDF). 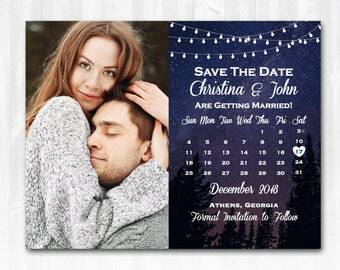 This Save The Date will be personalized with your choice of wording and emailed to you for you to print at the printer of your choice. Wedding Planning is stressful and my goal is to take the stress out of your stationery needs! Check out my 695+ FABULOUS REVIEWS for peace of mind! 1. EXACT WORDING to appear on your design. Include all relevant details. 3. Attach 300 dpi, high resolution photo/s (if design includes photos). Once payment and your details are received, I will then email you, within 36 hours, a DIGITAL PROOF for your approval. Final Approval is required before I email your PRINT READY FILE. Visit my Policies page: https://tinyurl.com/y74mtvm8 for any other information you may want to know about your purchase. Professional Printing Services through Treasured Moments Cards are available •separately•. Visit the •add printing• section of my shop: http://www.etsy.com/shop/TreasuredMomentsCard?section_id=14664668 for more information. Envelopes are included with printing services. Visit my Policies page: http://www.etsy.com/shop/TreasuredMomentsCards/policy for shop policies. By purchasing my listing, you agree to the terms listed above and in the shop policies page. Designs in the shop are copyrighted © by Treasured Moments Cards 2008-2018.